Chris Wilson knocks on doors, stops folks on the streets of north-central Baltimore, peppers them with questions. He wants to know what skills lie hidden inside the community’s modest homes. How many people can use power tools? Who speaks a foreign language? Is anyone good at math? Then he turns the questions around, asking business owners what kinds of workers they’re looking for. It’s painstaking, low-tech work, and Wilson sees it as an important part of the solution to chronic unemployment and underemployment in Baltimore. He believes that even the most troubled neighborhoods have a wealth of people with skills and talents that could be parlayed into jobs. But many of those who have something to contribute, or at least the potential to learn a valuable trade, are shut out of the workforce because of a criminal record, lack of formal education or other problems. Jobless and discouraged, they often end up back in jail. Now Wilson, who says he “made a decision to turn my life around,” is making up for lost time. Convicted of a homicide he committed as a juvenile, he had spent about half his life incarcerated and was facing decades more. Many close friends and relatives had died violent deaths. 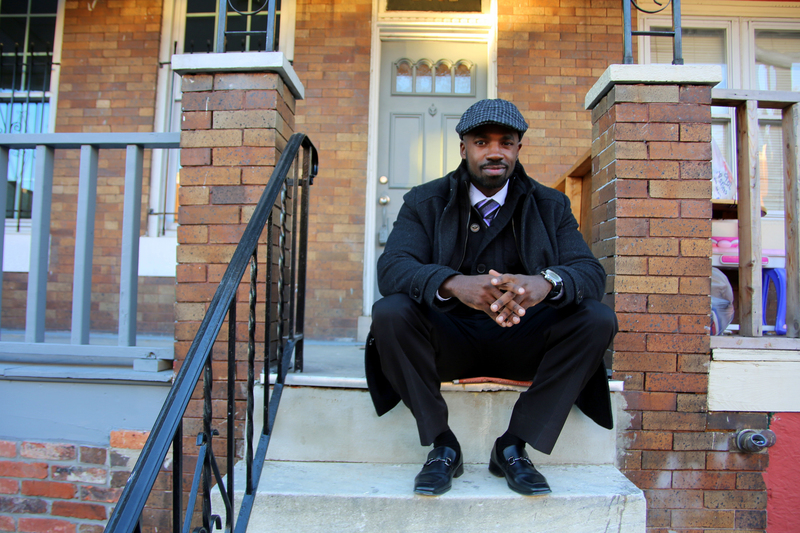 Today, Wilson is a business owner and self-described social entrepreneur, the workforce development director for Greater Homewood Community Corporation and a student at the University of Baltimore. By doing a comprehensive study of a community’s resources, Wilson says he can “get a better sense of the demands and needs in the neighborhood.” That information can then be used for workforce development and planning – including creating businesses that put local people to work meeting local needs. Wilson’s two commercial enterprises, a furniture-restoring operation and a construction contracting business, employ this model. The success he has seen leads Wilson to believe that his methods could eventually spread citywide. But his goals don’t stop there; he dreams of taking this work national and even global. A self-taught student of history, Wilson has read a lot about Napoleon. The way he sees it, if a short, Italian guy with lots of ambition could become emperor of France, just about anything is possible.